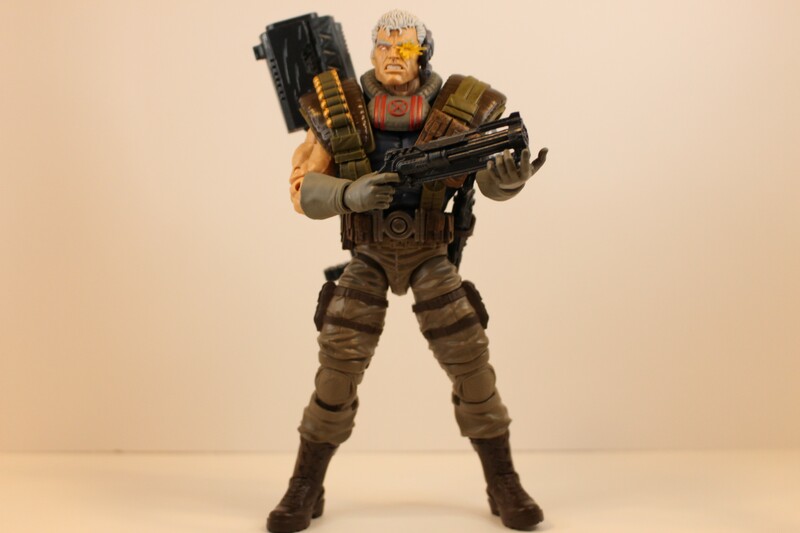 Marvel Legends Cable (Sasquatch BAF) review – AiPT! 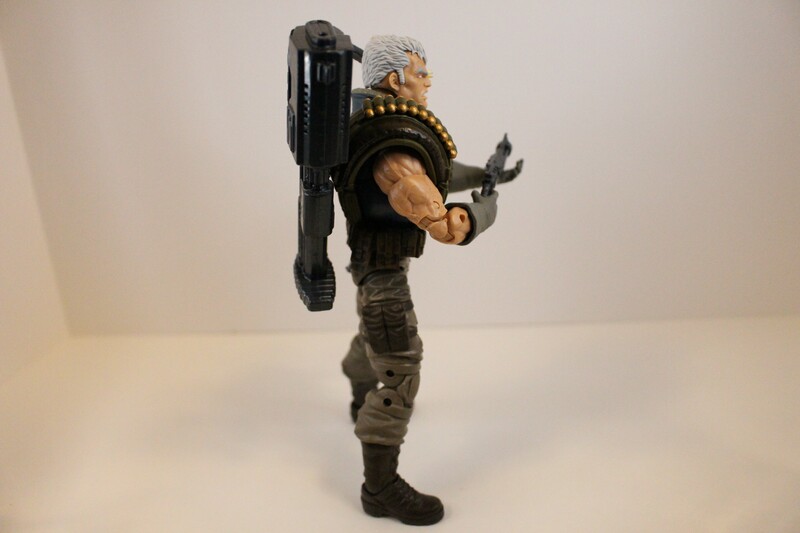 It’s as if this Cable figure was sent from the future to make things right. 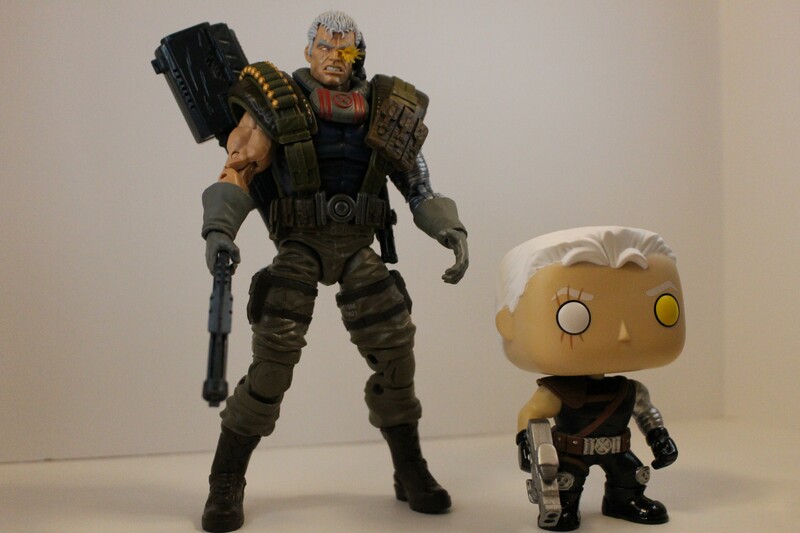 Cable figures, like the character himself, have had a bit of a rough history. Usually, there’s something amiss – be it the proportions of our musclebound lead, a too cartoonish take on the typically rough-around-the-edges anti-hero, or something worse, like a lack of being able to stand at all. 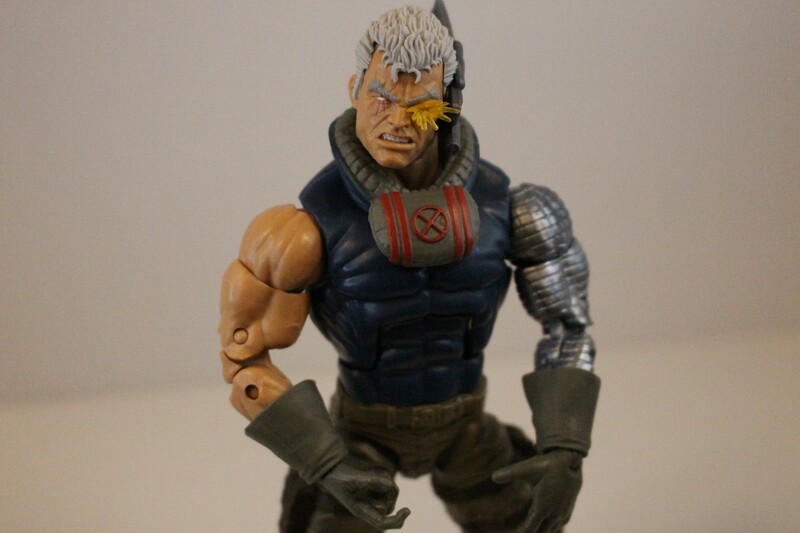 Does this new Marvel Legends figure, released along side Deadpool 2, make things right? Sturdy as a ten foot wall, packed to the gills with accessories, and pecked and poked all over with just the right amount of grit – this take on Cable is a real winner. It’s a bulky, dense figure capable of standing all on his imposing own, posable, articulate and absolutely ripped. 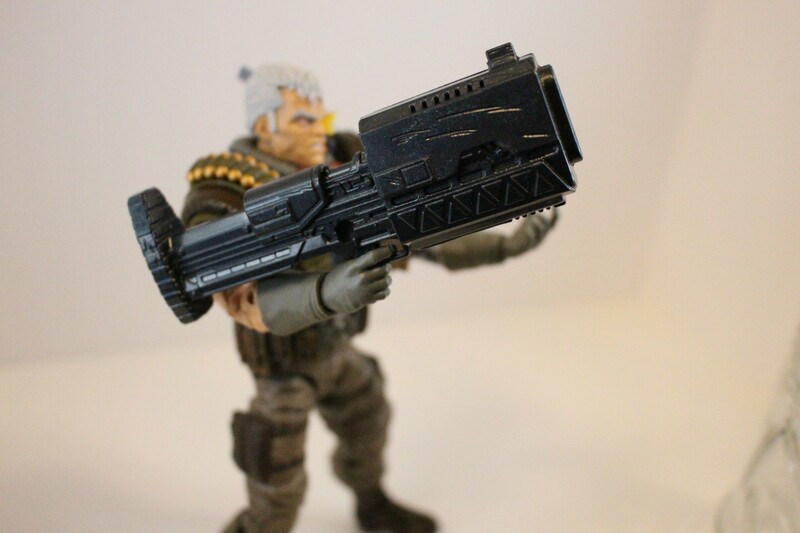 There’s little to fault here as finer details like his explosive eye glare, scarring, bushy eyebrows, hair and bionic arm really shine along side dents and tears in his accompanying three piece arsenal (a massive cannon, shotgun, and smaller pistol of sorts). Every detail seems thought out, intentional, and well implemented. 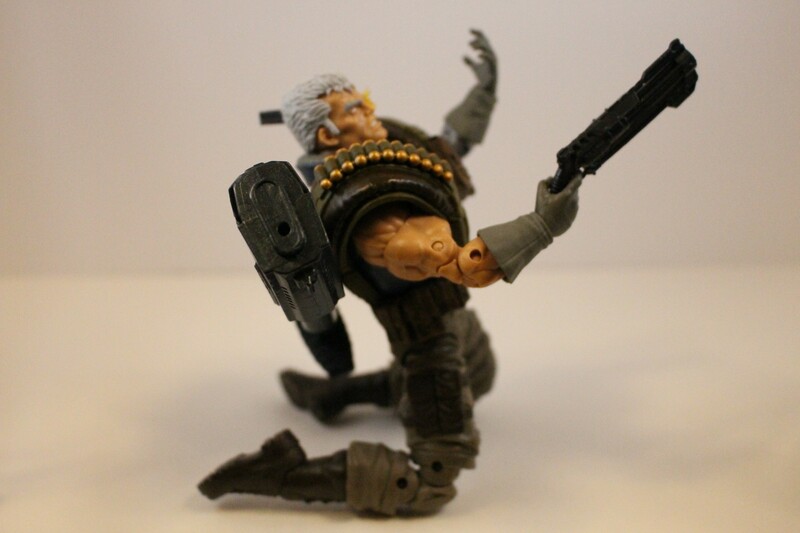 Among the more fault-worthy things, however, stand the rigidness of both his elbows and double jointed knees, relative immobility of his head, and the inability to holster his handheld shotgun should you choose to arm him with that cannon. It’s worth noting that the physique still seems a bit off too — something that could’ve been easily fixed by making his chest slightly larger or his head slightly smaller — but leaves him feeling relatively “normal” sized here compared to his usually hulking disposition. 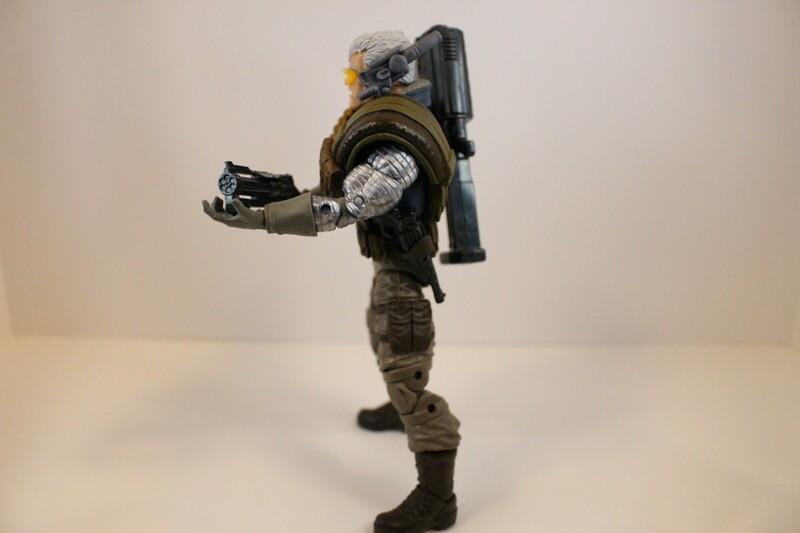 In the end, the goods undeniably outweigh the bads, especially for Cable fans looking to add a posable figure to their collection of the semi-titanium X-solider, and it can’t be overstated just how cool (if somewhat garish) he looks standing among the other, significantly less muscly Legends as one of the most, and best, detailed ones yet. A must buy for diehard fans of the character pending the release of Mezco’s amazing offering and one worth checking out for casual fans, too. What’d you think? 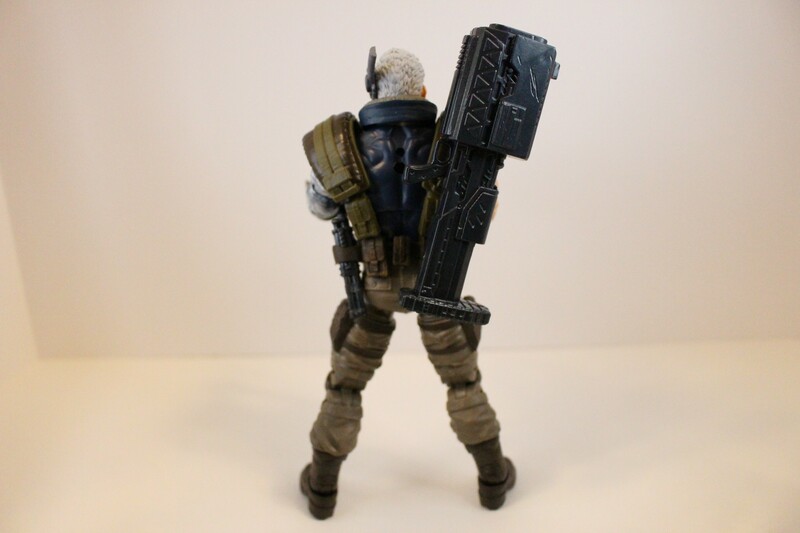 Is Cable already gracing your shelf in this iteration or in one from the future-past? Let us know in the comments! 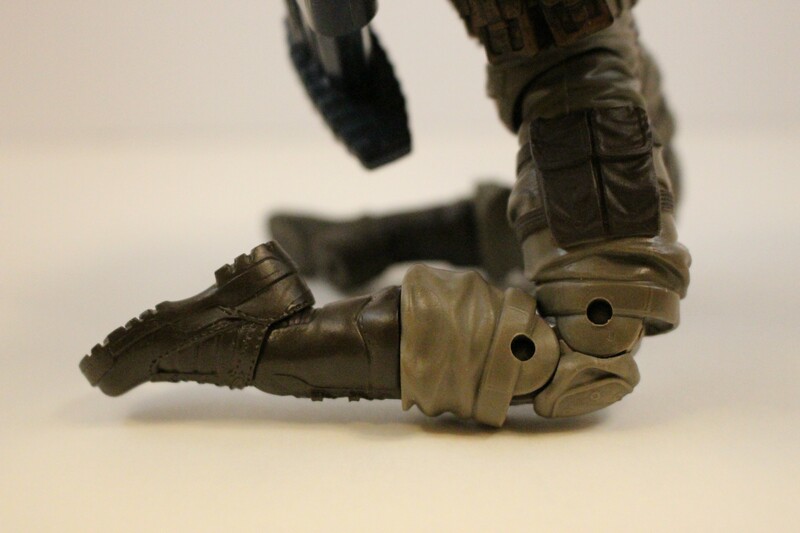 A sturdy, musclebound super solider of a figure that is a must buy for fans of the character and probably warrants a look from Marvel Legends fans in general, too. 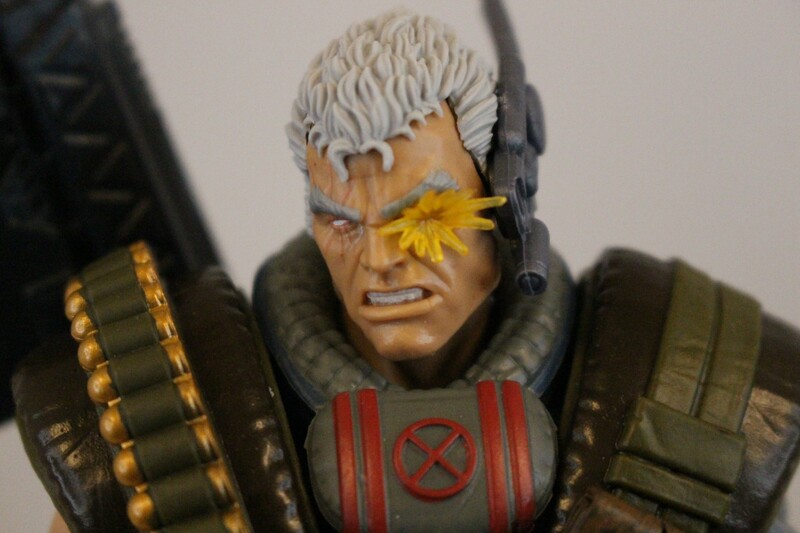 The detailing here is seriously impressive - Cable's eye scarring, hair, bionic arm and other gritty elements all pop. Everything feels sturdy and well-made, you couldn't knock this guy over with a pail of water (well, you could, but you wouldn't do that you monster). The physique still feels slightly off, leaving this normally hulking man feeling a little normal in scale. 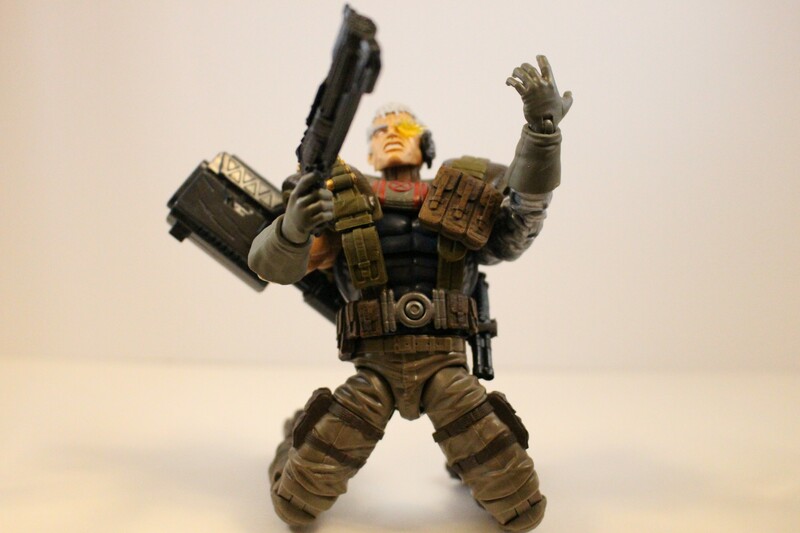 Given all the cool accessories, you would think there would be a home on the figure for them but there aren't - you'll need to keep track of some guns if you disarm him.